Whether you believe or do not believe, most people can agree that the story of Jesus is very powerful. A man who sacrifices his life by a going through a terrible death in the hopes that his act will save humankind from the grave – it is automatically filled with drama and meaning. 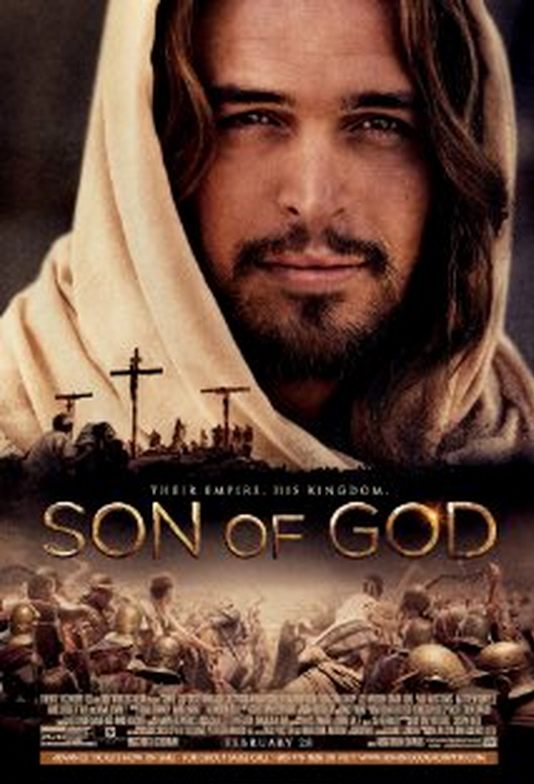 Unfortunately, the latest film to try to capture the power of this story, Son of God, fails in so many ways. 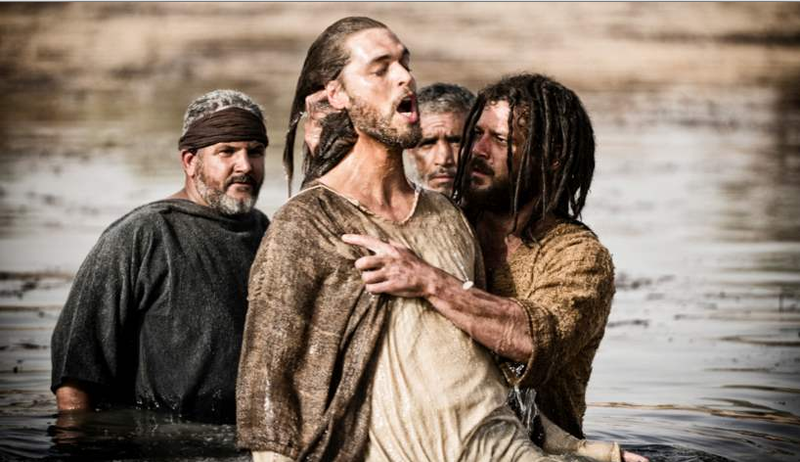 From the acting to the scripting to the special effects and staging, this is one story of the Gospel that should be skipped. Told through the Apostle John (Sebastian Knapp) as he is spending his final days in exile, the film begins with Old Testament references – Noah and the flood, Moses leading the Jews out of Egypt – while John narrates and provides the “In the beginning was the Word…” verse, which leads us to the birth of Jesus (Diogo Morgado) – born to the palest Mary and Joseph I’ve ever seen. Once born, we skip quickly through many standout moments in the New Testament. His recruitment of Peter (Darwin Shaw)and certain apostles, the sermon on the mount, his walking on water, the raising of Lazarus from the grave are all sped through like some highlight reel with one liners. The one liners are from very profound statements made by Jesus, but the delivery is so heavy-handed they may as well have spelled them out in neon. Director Christopher Spencer is a veteran of creating documentaries for The History channel, and this treatment probably isn’t a surprise. But this is a feature film, and there are no historians or biblical scholars to break up the highlight segments. There is no build; there is no real context given. The movie slows down when we reach the days leading up to Jesus’s death. Now the filmmakers have decided to go as slowly as possible and really spell out the timeline as Jesus enters Jerusalem to the waving of palms and exits under the burden of a cross. Unfortunately, because the audience has gotten used to the previous treatment of the story, it makes the last hour or so drag on. Also, this is where the actors are supposed to showcase their chops, but there are too many meaningful gazes held in slow motion, so many lines DRIPPING with meaning, and the CGI and sound effects that highlight miracles and powerful points come off as cheesy rather than spiritual. As a reviewer, it was a challenge to approach this film with new eyes and ears – to try and imagine what one might think of this story if it was brand new to them. Would they be stirred by it? I tried to do this because it seems the intent of this film was to bring people into the fold – to help them understand the sacrifice and power of a man who wanted to save everyone. Ultimately, I don’t think it works, and really this film comes off as preaching to the choir of Christians who are good with knowing the basic story and memorizing verses. 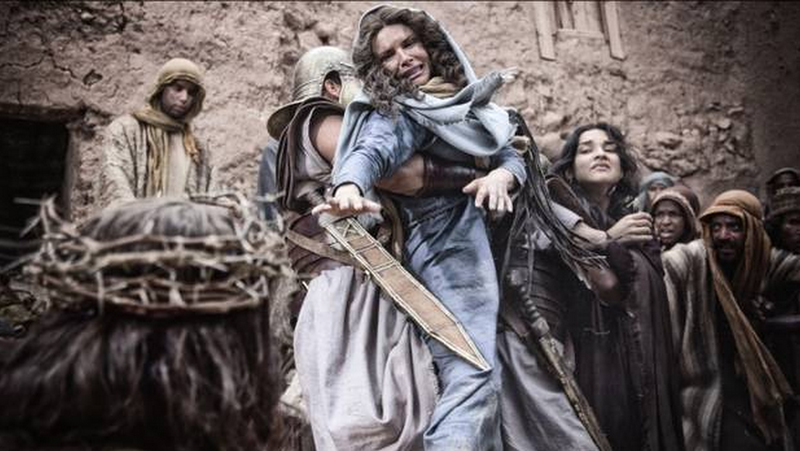 At least Roma Downey, who was an Executive Producer and played the part of Mary the mother of Jesus, was able to give her best pose a la Pietà. As a Christian, it is hard for me to tell you not to go and see a movie about Jesus, but I’m doing it for this film. If you really feel like getting in the spirit of Lent and the coming Easter, rent The Passion of the Christ or The Gospel According to Matthew or even The Last Temptation of Christ. All of these films inspire the viewer to look deeper and interact with their own beliefs. So basically, save some money on a theater ticket; Son of God is just a 2+ hour dose of entry level Sunday School minus the cookies and juice. This entry was posted on Thursday, February 27th, 2014 at 7:31 pm	and is filed under Film, News. You can follow any responses to this entry through the RSS 2.0 feed. You can skip to the end and leave a response. Pinging is currently not allowed. « Has ‘The Stand’ Found a Permanent Director?